Proper service from trained professionals will help your equipment last longer. It is a fact that properly maintained equipment uses less energy too. For the best value, we recommend that you purchase a preventative maintenance agreement from Sunbelt. 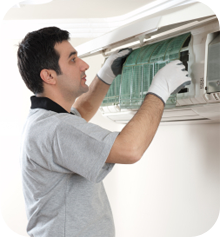 Preventative maintenance guarantees that your heating and cooling equipment will receive regular maintenance that will make your equipment last longer and save you money on your utility bills. For more information about preventative maintenance agreements click here.